Due to updates to Mac OS X, El Capitan is not supported on the following class-compliant devices: Omega, Lambda, Alpha. The hardware and software you need to turn your PC or Mac® into a 24-bit recording studio. LAMBDA Studio™. There is no easier way to get into desktop recording! Just add a microphone, computer and musical inspiration. Anywhere you can take your laptop, Lambda lets you record both a vocal track and an accompanying instrument at the same time (or two singers/ two instruments). 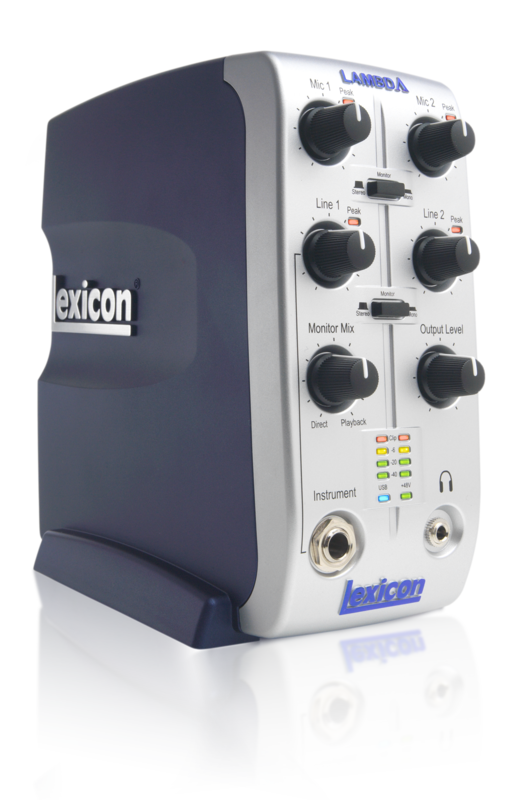 It has two studio- quality balanced microphone inputs with phantom power for professional condenser microphones and TRS inserts that let you add outboard equipment such as compressors or equalizers. Two line level inputs are provided for adding keyboards, drum machines, turntables* or pre-recorded backing tracks from CD or MP3 players. A separate front-panel high-impedance input is included so you can plug your electric guitar or bass right in. Via the separate headphone jack, you can monitor as you record, listen to a backing or click track while recording or hear tracks played back from your computer. Balanced analog line outputs let you connect to powered monitor speakers or a mastering deck. FIVE INPUTS: RECORD UP TO TWO TRACKS AT ONCE! Stereo line inputs for keyboards, drum machines or analog output of a CD/MP3 player. RF-filtered TRS active-balanced inputs accept either balanced or unbalanced signals. Two low-noise mic preamplifiers with phantom power for studio condenser mics. High-impedance front panel input for electric guitar or bass. 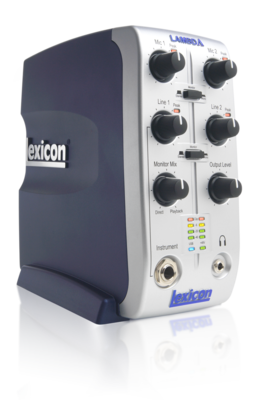 Separate mic and line level input controls with individual peak indicators. 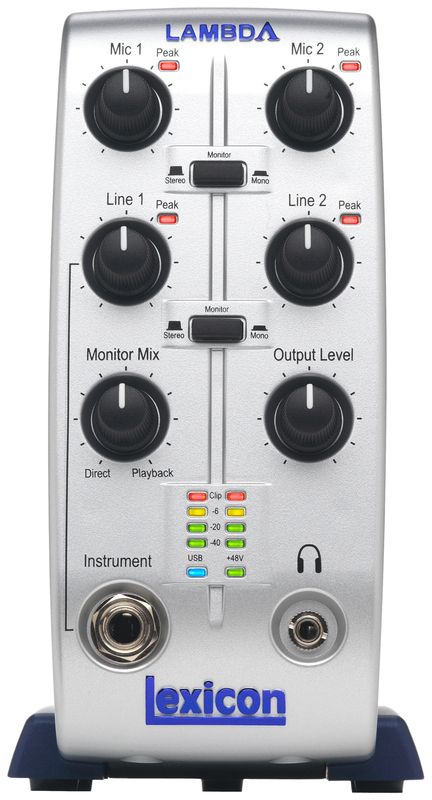 Monitor mix control for balancing an audio source between live input and playback mix level while recording. Can be switched to stereo or mono. 2-channel, 4-segment bargraph meter to monitor exact levels of the analog-to-digital converters. RF-filtered and TRS balanced Line outputs for monitoring through powered speakers or recording to an analog source such as a cassette deck. TRS inserts let you add your favorite outboard processors to either mic input channel. 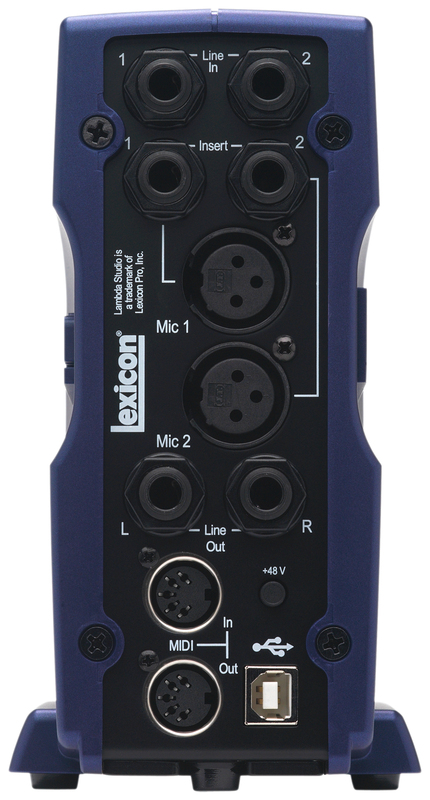 Fully opto-isolated MIDI input eliminates ground loop hum and MIDI talk-through noise. MIDI output has rock-solid sync to USB frame rate. Connect to your computer with the included USB cable. No need for a power supply…so you can record anywhere you can take your laptop. The driver doesn't install on Windows 8 / Windows 10. How can I get it to work?